A Cameroonian soldier has been spotted paying his last respects to his fallen colleague killed by terrorists group, Boko Haram. 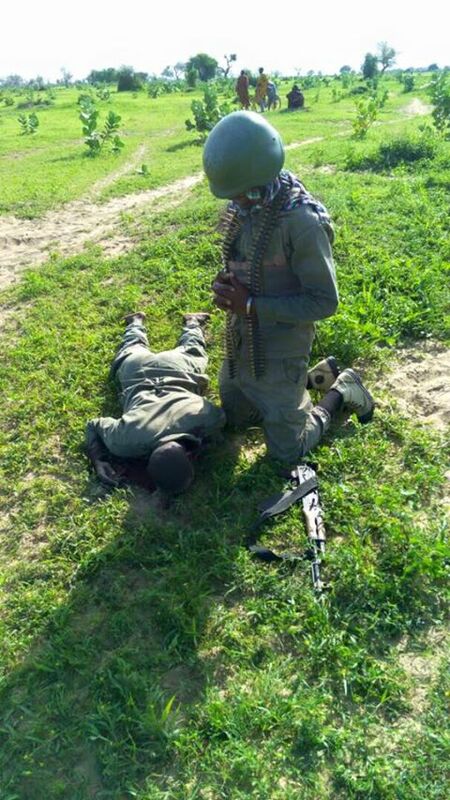 People have been left seriously in tears after a heart-wrenching picture of a Cameroonian soldier paying last respects to his dead colleague killed by Boko Haram terror group earlier yesterday surfaced online. The incident happened on Wednesday when in the Far North Region near the Nigerian border. Two soldiers were killed and several others injured during the Boko Haram attack. Members of Boko Haram launched the deadly attack at a security post at dawn in the town of Sagme near Fotokol around the Lake Chad area close to Nigerian border. The heavily armed assailants reportedly fled to Nigeria via river when an army reinforcement arrived.